At the County Fair, the baking competition is hotting up! The judges have high expectations, but what sweet surprises will be offered by the ‘lucky’ contestants who have prepared their signature, family-tested dishes? Try to imagine you are the judge with the stripey top and bow’s and piece together what she can see. 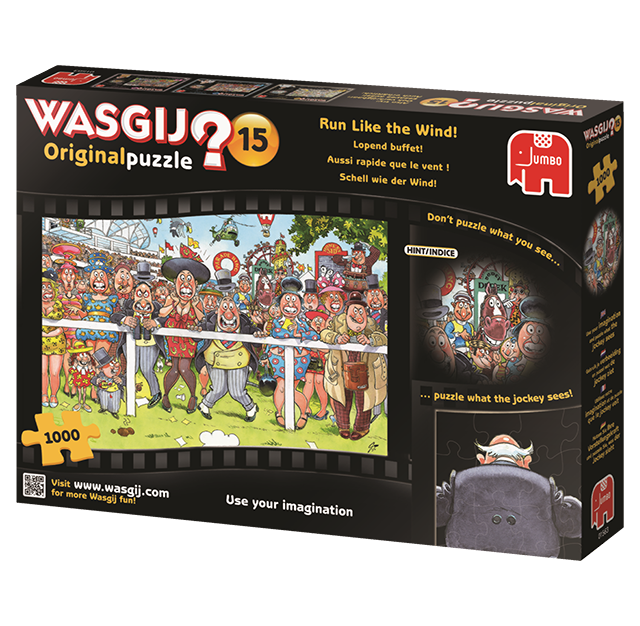 Don’t forget – you can add an extra 250 pieces to this jigsaw puzzle with the Wasgij Original Extension Pack – The Bake Off continued…!